Since the Arab Spring in 2011 and ISIS's rise in 2014, Egypt's Copts have attracted attention worldwide as the collateral damage of revolution and as victims of sectarian strife. 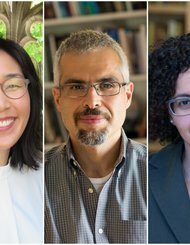 Countering the din of persecution rhetoric and Islamophobia, The Political Lives of Saints journeys into the quieter corners of divine intercession to consider what martyrs, miracles, and mysteries have to do with the routine challenges faced by Christians and Muslims living together under the modern nation-state. 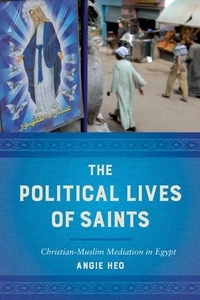 Drawing on years of extensive fieldwork, Angie Heo argues for understanding popular saints as material media that organize social relations between Christians and Muslims in Egypt toward varying political ends. With an ethnographer's eye for traces of antiquity, she deciphers how long-cherished imaginaries of holiness broker bonds of revolutionary sacrifice, reconfigure national sites of sacred territory, and pose sectarian threats to security and order. A study of tradition and nationhood at their limits, The Political Lives of Saints shows that Coptic Orthodoxy is a core domain of minoritarian regulation and authoritarian rule, powerfully reversing the recurrent thesis of its impending extinction in the Arab Muslim world.